Your Source For Choosing A Moving Company In Denver & Surrounding Areas. 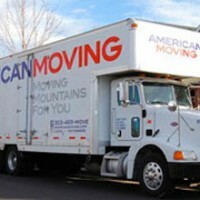 There are many options when selecting a mover to help you move to or from the Denver area. Choosing a trusted Bekins agent will ensure that your moving experience will be worry-free and that all of the hard work of moving will be covered. Want more information about moving to or from the Denver, CO area? Bekins is one of the most trusted relocation service providers in the industry. With professional moving and storage companies throughout the country, we are dedicated to the success of your Colorado Move. For more than a century, Bekins has specialized in moving families like yours with a process that is simple and stress-free. We know that moving your family and your belongings can be quite a task. Our professional movers help you prepare for the move and even let you know what to expect throughout the process. Moving is typically a complex process with a number of different steps. You need a team of experts on your side who can make this process easier for you and your family. We offer the following moving services and more. If there is anything you don’t see here, just speak with one of our agents and we can help you determine what service will fit your needs. Being the fourth largest van line and having 125 years of experience, you can expect that our movers are reliable, professional, and knowledgeable. Our decisions are truly based on customer needs and you can rest easy knowing you and your belongings are in good hands. Regardless of the type of move, we are the team you need. Whether you plan to move near or far, Bekins’s moving agents are ready to help. If you don’t see your area listed, please request a free moving estimate today and we will have one of our relocation experts get in contact with you. The ballpark estimate is just the first part of the moving process. Once you’re ready to get a more accurate estimate, one of our expert agents will come to your home or office to conduct a free, no-obligation in-home estimate.